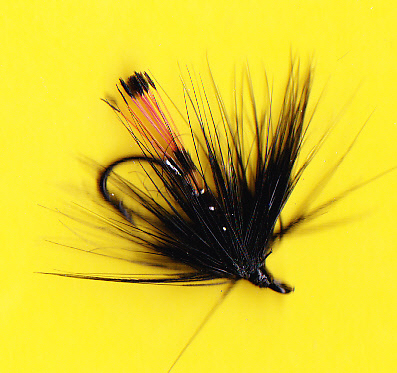 The flies on this page are tied on light wire hooks and are suitable for single handed fly rod work. 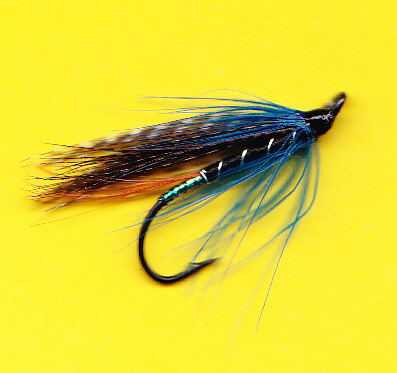 Ideal on loch and river for sea trout or salmon they include patterns for the point and bob(top dropper) but personal choice can differ to the suggested uses! All time best seller, do not travel North without it. A bushy version is listed in the 'Bob Flies'. 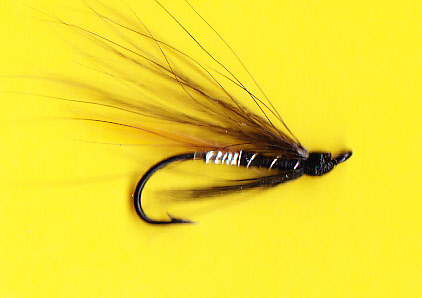 Try this when the fish are not taking larger flies, fish on the point with a Muddler or Spiny Norman on the bob, the disturbance made by the Bob fly will bring fish up, giving them a choice of fly top have a go at. Again essential for the Highlands & Islands. Useful in saltwater, the extra flash can be an advantage in coloured water as well. 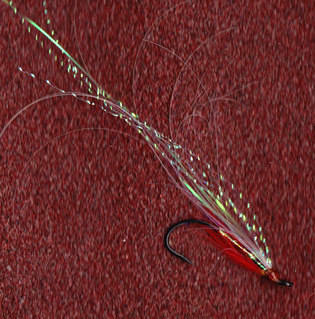 The all time classic Falkus pattern, use night and day in fresh and saltwater. 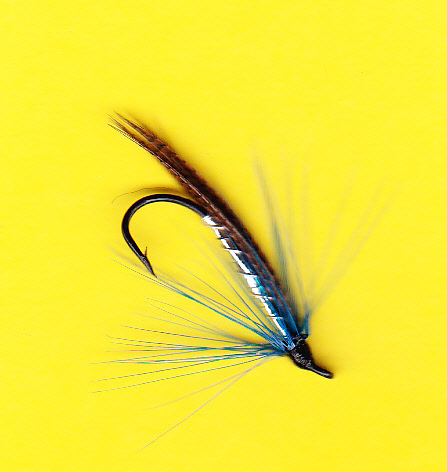 Feather wing tying, thses traditional patterns have caught fish for many years so its noy a bad idea to have one in your box of modern flies. 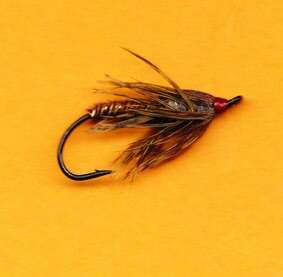 Deadly in saltwater for eel/fish feeding sea trout, or anything else that swims by as well. 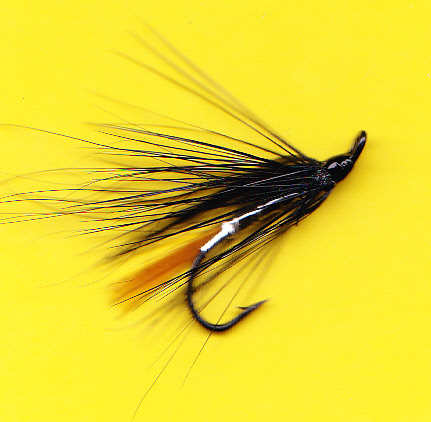 Tied thin and translucent, try this when black flies fail on loch or river. 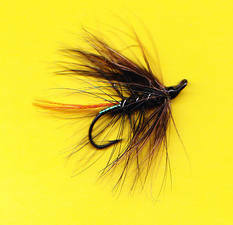 This is also a good Bob fly so fish with confidence on loch or river. These work as fish takers but also as fish attractors. In a big wave use Spiny Norman on the bob with something black on the point, the wake it makes will bring fish up that take iot or the point fly. In lighter wind use Size Zero Muddlers. Both are good wake lures for nightime work on the river or in saltwater. 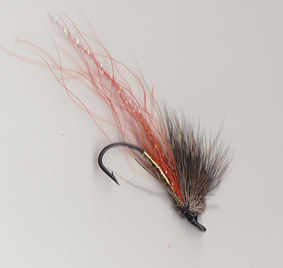 Tied with extra hackles to make a great top dropper fly for sea trout or salmon. 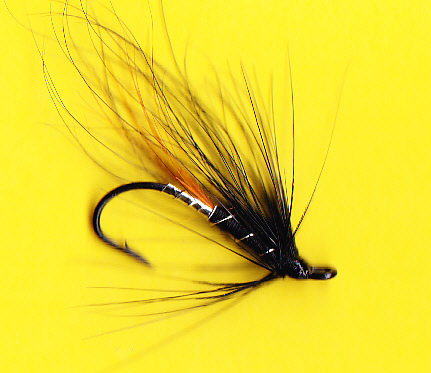 Lots of deer hair make this a very buoyant fly, gink if you want it to ride the waves! These are tied with less hair than most Muddlers which means they skate cleanly across the water a big advantage in many situations. 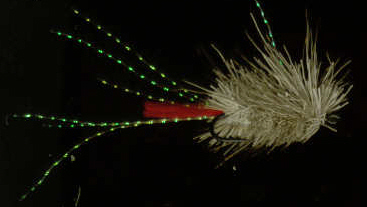 Deadly for saltwater sea trout as the light goes or on the loch in calm water. Tied in orange as its the one I always sell out of! 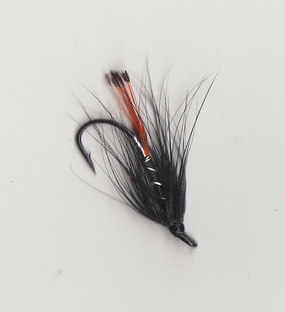 This is tied with extra long hackles and will bring fish up in the wildest weather, a good wet weather fly. 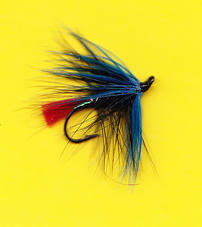 Again tied withg long hackles to create a wake on the water, black, red and blue combine well to tempt sea trout and salmon. 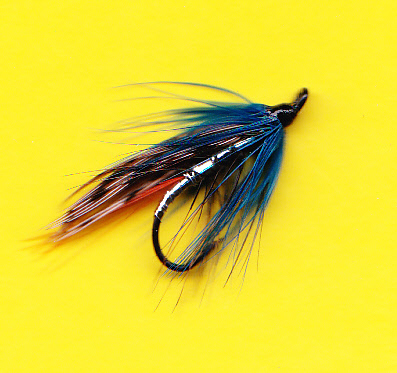 This tying is based on the world famous Teeny Nymph, Jim Teeny fishes these dead drift on sink tip lines with great results.